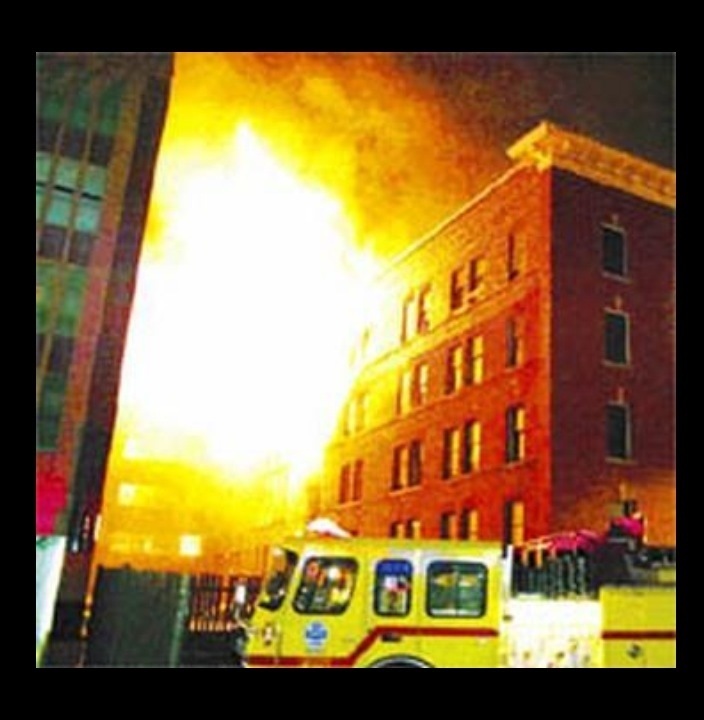 This is a picture of my actual apartment blowing up oh so many moons ago. I lost my favourite paddle, a collection of excellent books and an Xmas stocking that my long since deceased Aunt Betty made for me. Everything else was replaced. This happened April 5, 2005.